This time with Finding Dory and Brave production designer – and very talented artist – Steve Pilcher! You were born in Ontario – what was your relationship to film growing up and did you come from a creative family? Like any other kid in the 60’s I watched TV, read comics and went to the occasional movie matinee. Walt Disney movies were “events” when they were released, which was approximately every 4 years. The movie matinees were in black & white and they gave you little toys as you entered the theater. We would often see a double bill ( two shows), The Three Stooges, Cowboy / Westerns, Abbot & Costello meet Frankenstein etc. Before those films would actually start, you would see a cartoon in color, this was before color TV was even available, and the color was stunning! Of course a feature animated movie in color was even more of a revelation. Television & film were very “special”. Today we are bombarded and overwhelmed with media, good and bad. I grew up in a fairly creative family and a nurturing environment. My Dad worked in Radio and Television. He started as a radio announcer, then a radio/television commercial/copy writer. He eventually opened his own successful advertising agency in Toronto, Canada and retired early. One grandfather was a craftsman woodworker, inventor type and my other grandfather loved art, served in the military and was a weekend oil painter. My mom loves art and music, (opera) and has painted off and on in her life. What did you do to support yourself early in your career? I started with art exhibitions of my work at age 19. My dad offered me the opportunity to paint at home to prepare for my first art exhibition, he had me pay some board to acclimate to the idea of renting. It was financially very successful. I then left home at 21 and continued painting for shows, turning my first apartment into a studio. At 26 I stopped painting for galleries as I found the gallery lifestyle very lonely and empty, so I decided to focus on making a living as a commercial illustrator, (editorial, packaging, children’s books, advertising etc). I continued illustrating while all the time painting on the side and doing what I love most, inventing imaginative worlds with characters. At what point did you make the move to the west coast and why (for film or for the art)? At age 40, (1994), I left Canada to work at the”Warner Brothers Feature Animation” start up. The art in film animation as a visual medium was more focused on selling ideas and entertainment rather than selling products as with a lot of illustration work. I wanted to explore it because it demanded so much creative focus and that it was able to express itself in so many ways using timing, motion, sound, color and light etc..
You started as a book illustrator and art designer. When did you realize that the animation world was for you? And how did you make that transition? I had an apartment and a separate rented studio in Toronto and was making a decent living as an illustrator. But the need for more creative expression was tugging at me and I couldn’t see myself doing commercial illustration indefinitely. I occasionally did the odd film animation job, background paintings, some visual development images etc., nothing of significance. But I hadn’t really focused on film animation, so I put together a portfolio of artwork and children’s book work that I had done and sent it to the USA to a couple of people I heard very good things about, people who cared about the art form, Bill and Sue Kroyer. They were very excited about my work and offered me a freelance job right away. After that job they asked me to join them at Warner Bros. Feature animation to develop new projects etc. I loved the creativity in the art form, that it’s purpose was to entertain and I felt at home in many regards. I enjoy people and the balance between working alone and collaborating with others was a nice fit for me. My wife Donna and I decided to give up our current careers, leave our friends and families and move to California to give it a shot. So it worked out and here we are. What was your first film gig and how did you get it? The first film gig was a little Christmas VHS/video for Rabbit Ears Productions called “The Lion and the Lamb”. It was a small job that Bill and Sue Kroyer contracted me for. I created background paintings, drawings and pulled together a color script. I was working in my studio in Canada, while the rest of the team worked on it in California. It was fun to work on, the result was a little crude to say the least, but I quickly realized that I loved this kind of work. Were there many things you had to pick up to make that transition and, if so, what were they? Creating children’s books and illustrating I think set me up quite well to transition into film animation. A large part of the ever-changing process is visual problem solving with the application of artistry. More importantly, learning how to collaborate with others using respect, intelligence and honest care regarding the film is the thing to master. Because I had to manage myself as an illustrator, I felt comfortable being invited into any leadership roll. All the years of quoting, budgeting, delivering to the best of my ability on time, turned out to be a good training ground for the practical side of film making. You worked at Warner Brothers, Dreamworks and Disney Feature Animation. What movies did you work on and tell us a bit about the life/work changes you felt moving into this field? At Warner Bros. Feature animation I started on “Quest for Camelot”, my first feature experience. It was an odd conglomeration and it struggled to connect with audiences. I then went on to “Osmosis Jones”, which was a live-action, animation hybrid. It was fun designing the animated world, but also had trouble at the box office. The problem with films that aren’t received well by audiences is that they take just as long to make as the films that do well, but you don’t have as much to show for years of work, save your own personal contribution in the form of drawings or paintings, which the audience never sees. At Disney Feature Animation I was hired for a brief couple of months to explore early development art on a project, and then I landed next at PDI / Dreamworks. I was hired as the art director on “Shrek 2”, working with Production Designer Guillaume Aretos. Because of the close interaction we had with all the departments in the pipeline, I learned an enormous amount about CG film making. I continued with development work on “Shrek the Third” for a few months, then helped out on “Bee Movie” for a few more months. Most of this work is often intensive, time demanding and stressful. In this collaborative art form, the process is always different from company to company, show to show. For our non-animating readers please explain the difference between Art Director and Production Designer? The Production Designer is the lead art director if other Art directors are on the same film. He or She leads the team and makes the final call in sync with the Director(s). The Art director role can be relegated specifically to a Sets, Shading or Character Art director, or as in my case on Shrek 2, an additional partner to the Production Designer. In this case the Production Designer and Art Director’s roles, tasks, are shared. The seniority of decision resolution resides with the Production Designer. As our CG films have become such massive amounts of work and time, one may find a variety of credit scenarios involving the Art director’s role. 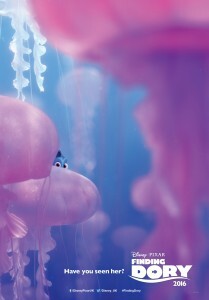 How did you end up working at Pixar and on Brave as Production Designer? I left Dreamworks amicably after a short stint helping out on “Bee Movie.” I then went to Pixar to show my portfolio and look at a project they were developing. I met with Brenda Chapman and interviewed with her. I also met and interviewed with the other Directors, Production Designers and Art Directors. Brenda wanted to hire me as the Production Designer for “Brave”, and Pixar soon after offered me the role. And what responsibilities does a CG Production Designer face – how might tasks differ from Live Action production designer? Not having worked in live action, I can only surmise that the biggest difference to me is the time involved on a show generated by the fact that we must design and create from scratch everything you see on film. Everything — the Characters, Costumes, Environments / Sets and Subsets, Props, FX, Lighting and Color. The color and texture on everything you see as well the orchestration of the overall color palette, all need to work together to be finally lit and celebrated in the Lighting department. This is where the accumulation of all the visual work lands. Creating an ever-evolving color script, incorporating time of day, mood changes and FX starts at the beginning of the show and continues to the end supplying context and visual continuity. As the story starts to solidify, more detailed subsequent paintings, called lighting keys are created in the Art department for specific shots, to supply more detailed information to the lighting department. 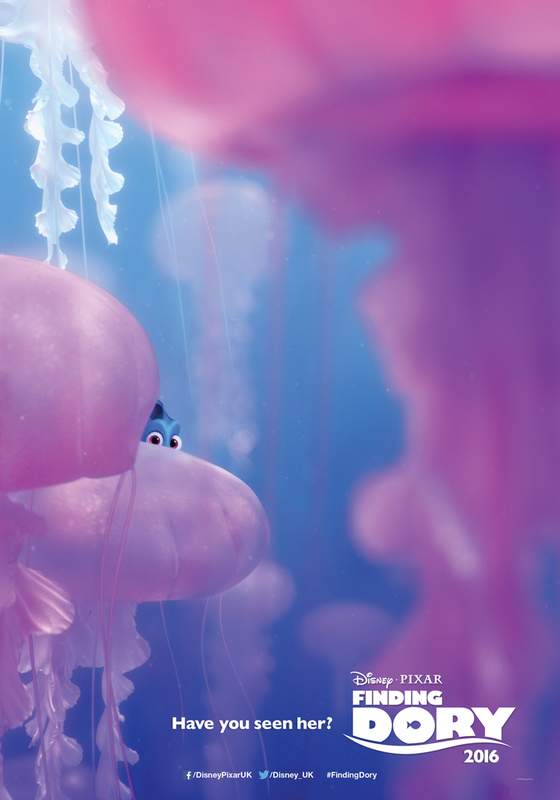 From beginning to end, please tell us your process on Finding Dory? Oh that’s a lot. Here is a somewhat abbreviated version. Get the pitch of the story and discuss with the director, the emotional intent, tone, special wishes, needs etc. Set up and breakdown the basic elements of the story visually. The Character(s), The Sets, (Environments/ Locations) subsets, a Time of day / Weather pass, FX overview, visual needs, Color overview, Tone, (comedy, drama etc., and the overall stylistic design approach. Create artwork exploring ideas, story, moments. Strategize and assemble / cast a small art team. Strategize art budget with the art manager, projecting time bids to make the film. Supervise the art team designing all of the above mentioned needs. Creating model packets for modelling Characters – Sets and Props (for set-dressing). Then creating shader/ surfacing packets of the same for painting and texturing the same assets in color. Reviews in all departments with and without the director(s), as needed daily. Meeting regularly with the Story department and Art department to keep in sync with story and constant changes. It’s an intense marathon that can last within a time span of 4 years to even 7 years. I was on “Brave” for 7 years and on “Finding Dory” for 4 years. The actual process is much more detailed than this outline, but you get the idea. 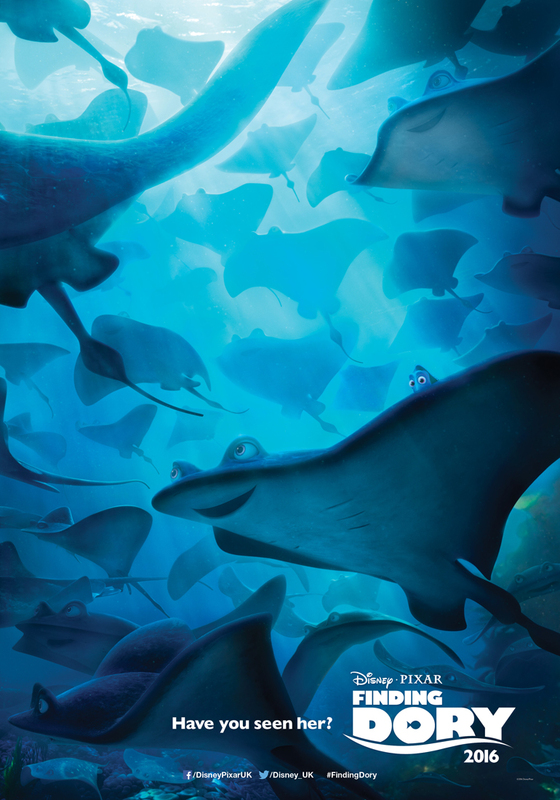 What size team did you work with on Finding Dory and who do you interact with most during the production process? I run a small art team fluctuating between 5 to 7 Production artists. I like the unity it creates as well as the opportunity to stretch the artist’s potential. We also have an average of 3 Production coordinators and an Art manager. I obviously interact the most with the Art crew, but also with other department Leads & their crew on a regular basis. These include Character, Sets, FX and Lighting departments, as needed and dictated by the film process timeline. 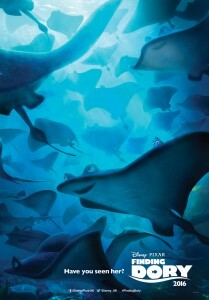 Have their been many changes/developments in process/style between the first film Finding Nemo and Dory? Were there areas in which the image quality or animation could advance and areas where it was best to keep it the same? Yes. New technology, new opportunities and new problems. With all the new technological advances / changes, we use our trained eyes to replicate, re-create and enhance as needed and desired. We are always looking for ways to streamline the pipeline without sacrificing quality. With something where the environment is so layered (i.e. the constant bubbles, waves, ripples, sunbeams) on top of the actual physical solid parts of the set, was the water and what it does part of your job or did you have a whole other set of teams focused on the different aspects of the water? How is it broken down? Water or known qualitative FX can be started right away in the FX department, things like color and murk levels would be pre-determined by art and lighting and evolve as necessary. Some initial design exploration is done in the Art department particularly if it involves something we’ve never seen before, like Bailey’s “Echolocation FX” for example. Once all agree on the direction, FX will start to create. Our entire effects team handles this under the Director(s) direction, with my occasional input as needed. I sometimes comment on obvious concerns, usually involving scale, frequency of patterning, color or on unique design considerations. In a sequel scenario do you guys use assets from the first film? We tried to for obvious reasons, but anything that could be “migrated” over usually had to be re-done in entirety or some regard, because the technology had progressed/changed so much. They usually had to be remodeled and re-shaded, (applying an updated color and texture application that would match or enhance the previous version). What were the big challenges on Dory? Making it as beautiful as the first film and looking for ways to expand the visual, tactile feel of the film. How do you manage a work/life balance and do you still enjoy other art or hobbies outside of production life? Yes, it’s hard to balance at different times. I am always creating outside of the job, it’s my form of entertainment and growth. Sculpture, Painting, Picture books etc. You find time between everything else going on in your life. My wife and kids are my greatest blessing, indirectly motivating me and keeping me in touch with the real world. What advice would you give to an animator wanting to one day follow in your footsteps? All art interrelates, one path leads to another. Often there is no linear path to where you end up. It’s all about triumph over adversity. It can be frustrating at times so you need to persevere. Be respectful of others efforts and maintain a sense of humor. Look outside animation for inspiration, participate in other art forms. Master self – control, stay healthy and develop a strong work ethic. If you really want to work and express something you love, you will find a way, sooner or later. Imaginatively expressive, spiritually enlightening, thought provoking, original ideas engulfed in myth.